Product Details-Use- Me-o Cat Food is a nutritionally balanced and complete food and your cat would simply love it. Suitable-For All Cats Breeds.Quantity-185 Gm. Product Information-Me-o Cat Food is a nutritionally balanced and complete food and your cat would simply love it. Cats of all breeds will be Me-o wing for joy with the first taste of Me-o Cat Food. Me-o elevates the art of balance nutrition to a new level providing complete nutrition in a food full of flavor. Your cat will ask for Me-o time and time again. 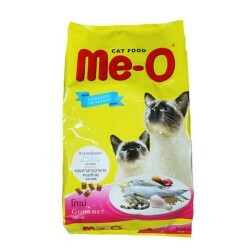 While enjoying the great taste of Me-o, your cats will have a long healthy life.